Does Nea always plop herself down by the latest creation, or does she have to be coerced? Just wondering because she always seems to know exactly where to lay! In life there are few guarantees, but this I can personally guarantee, that will NEVER happen! No way - a winning combination! Aaron is your dog?I am Shock.Because It can not be the name of puppy's.Well, you are doing a Absolutely careful job.Infect We should have to care of all animals. You know what, buy GSM jammer to jam all spy devices in your room or office. as if i needed more spy devices crammed anywhere! oh, anonymous! Pretty cool blog you've got here. Thanks for it. I like such themes and anything connected to this matter. I definitely want to read more on that blog soon. 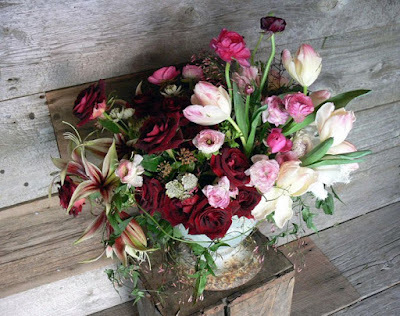 hey, love the blog, love the flowers (amazing!!) and love the dog. 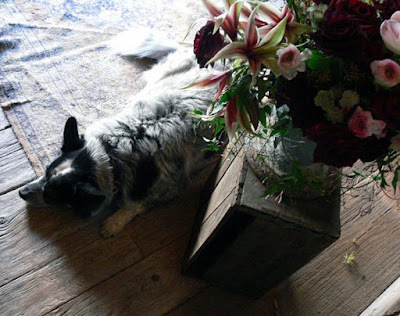 I used to have a blue heeler too, called Maggie - she was like a beer keg on legs. Loved that girl. so far so good... nice pics!! !